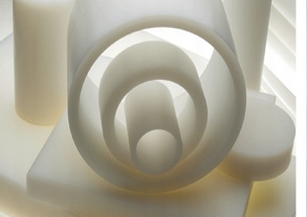 Kel-F® homopolymer of chlorotrifluoroethylene has the lowest vapor transmission rate of any plastic. It is specified in many government and aerospace valve, seal and gasket applications. Kel-F® also has excellent thermal characteristics and maintains an operating temperature range of -400°F to 400°F.